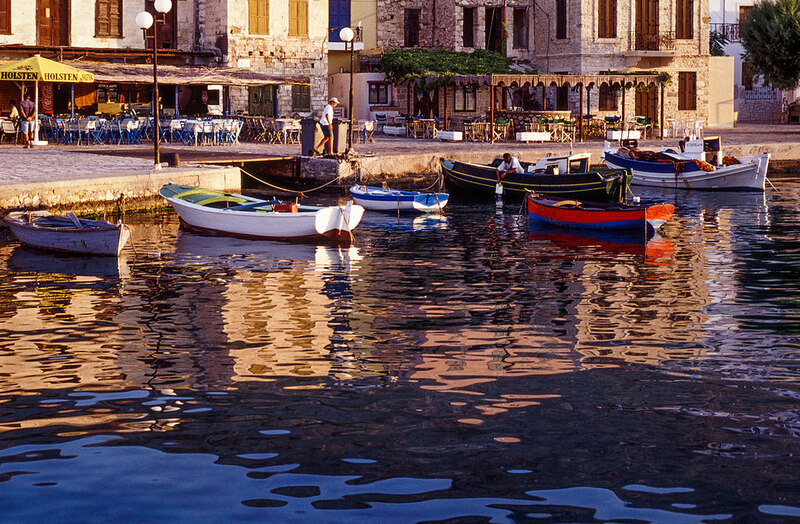 Once you've discovered Halki it's easy to fall in love with it, and many visitors return year after year. It has an easy-going charm, just one town, a beautiful harbour surrounded by old mansions, low-key tourism that hasn't spoiled the island at all, and there's very little to do other than relax and enjoy being there. Note that Halki can also be spelled Chalki or Khalki. We've opted for the simplest version but you will see all three variations used. Halki doesn't have an airport and the best option is to fly to Rhodes and then take one of the daily ferries. 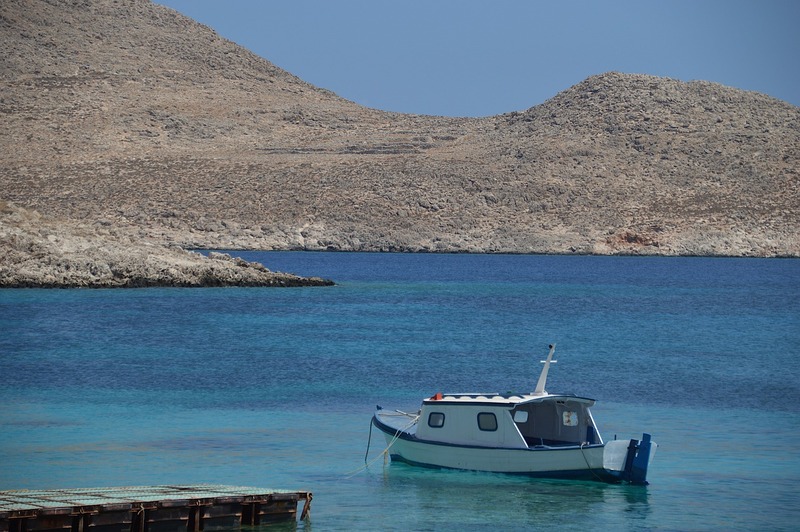 Halki is off the west coast of Rhodes and there are daily ferries from the port of Skala Kamirou on Rhodes, with a journey time of just over an hour. There's a bus that links Skala Kamirou with Rhodes Town when ferries are due. There are also several ferries a week from Rhodes Town with a journey time of 1-2 hours depending on the service. 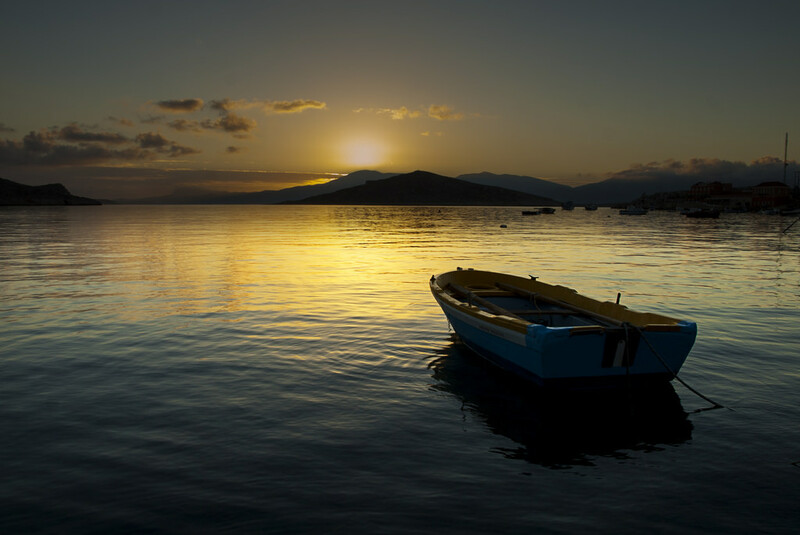 From Halki you can also get to Tilos in 40 minutes on one of the high-speed services which operate twice a week, starting from Rhodes. 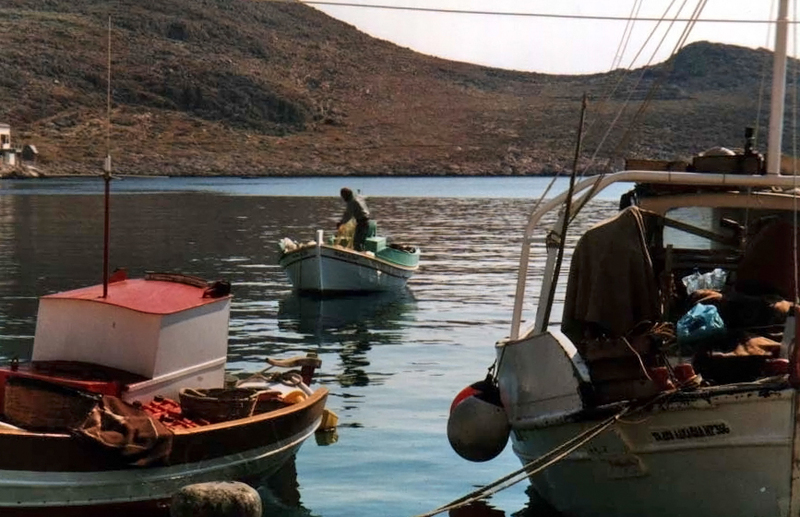 Rhodes is the only daily ferry connection to Halki, but there are also 2-3 ferries a week connecting Halki with Kalymnos (3-4 hours), Karpathos (4 hours), Kos (2.5 hours) and Nisyros (1.5 hours). 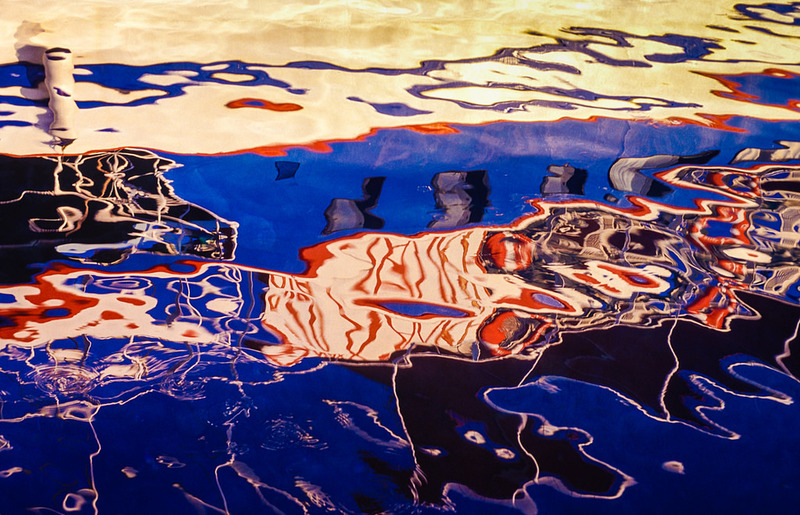 There's also a weekly ferry to Santorini (12 hours) and two a week from Piraeus, but the journey takes 24 hours. The island's population is under 500, and most live in Emborios, the only town. It's a delightful place, the main focal point being the harbour. This is lined by mansions, many of them once owned by the sponge fishers who made the island wealthy. The town has an ATM but no bank, a post office, travel agencies, a clinic, supermarkets and a good choice of accommodation and eating places. One landmark on the harbour is the tall clock tower. When the population of Halki started to dwindle as the sponge fishing industry wound down, many of the people moved to Tarpon Springs in Florida. There's still a small sponge fishing industry there, and a strong ex-pat community. There's also a Dodecanese Boulevard, as people from other islands also moved there. The Halki contingent provided the clock tower as a gift to the town, and Halki also has a Tarpon Springs Boulevard! The town's main attraction is the Traditional House of Halki, which is a museum in an old mansion and dedicated to preserving and showing the history and traditions of the island. 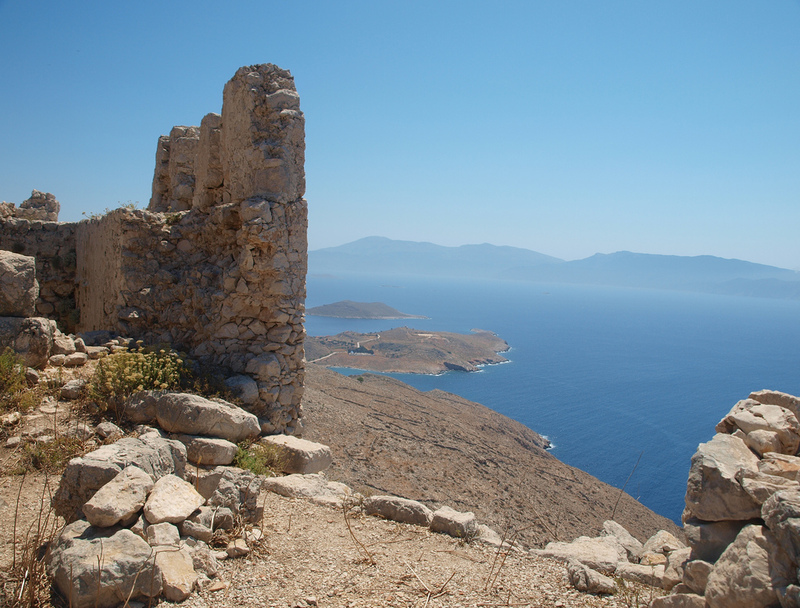 The main things to do on Halki are enjoying its beaches and its many hiking trails. It's only a small island - in fact it is the smallest inhabited island in the Dodecanese - but it has an excellent network of walking paths. It's also quite hilly, with an elevation rising to 1972 feet (601m). You can also walk to the deserted village of Horio, an atmospheric place as you speculate on its old history and the people who once lived there before it was finally abandoned in the 1950s. It's worth taking the path from Horio up to the ruins of an old castle, which has a chapel inside it and great views. Many of the trails will take you to the island's beaches. There's also a bus service in summer that links some of the beaches, and it's possible to get boats to take you there and back if you don't want to hike. 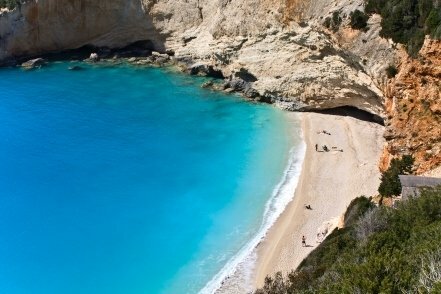 The most popular beach is naturally the one closest to Emborios, Pondamos Beach, which has a taverna open in the summer months. 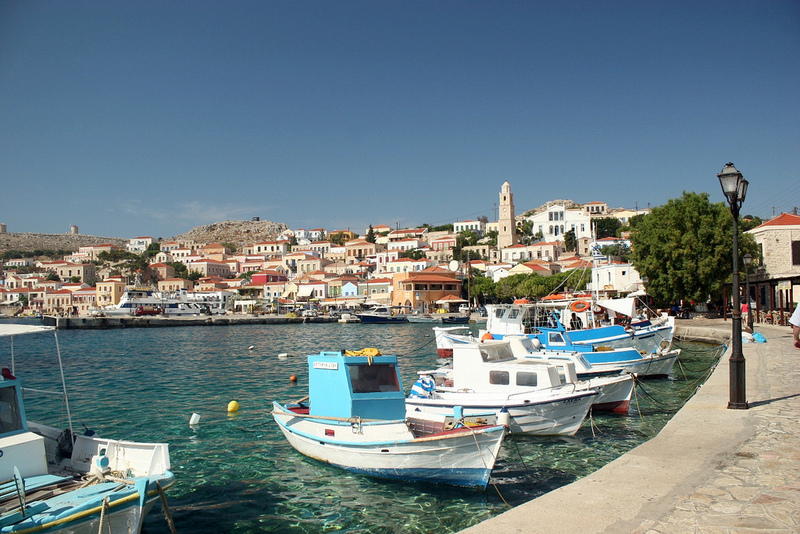 Halki is small and popular, and if you plan on visiting in the summer you should definitely book ahead. Many tour operators run holidays here and a lot of the available rooms get reserved by them.